Current: Gone, gone, gone! SOUTHERN BASTARDS #3, NAILBITER #3, and HACK/SLASH: SON OF SAMHAIN #1 sellout! Gone, gone, gone! 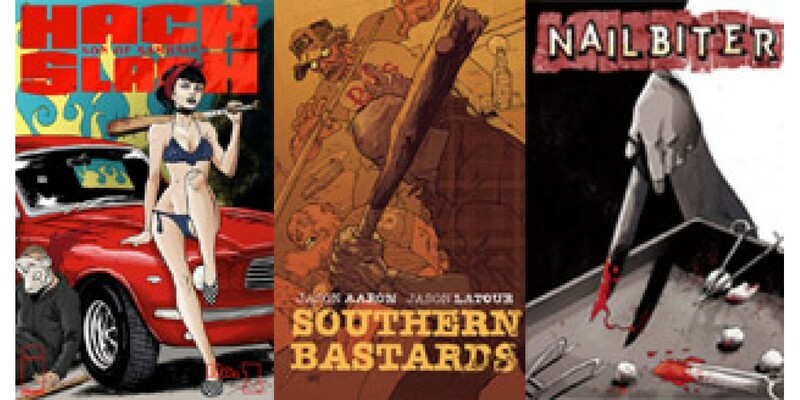 SOUTHERN BASTARDS #3, NAILBITER #3, and HACK/SLASH: SON OF SAMHAIN #1 sellout! Three new issues from three hot new series hit stores yesterday and sold out completely. 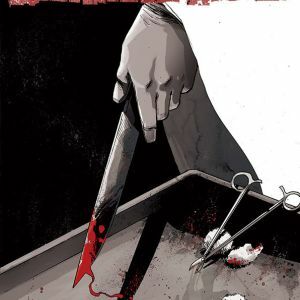 The first issue of HACK/SLASH: SON OF SAMHAIN by Michael Moreci, Steve Seeley, and Emilio Laiso, the third issue of Jason Aaron and Jason Latour’s SOUTHERN BASTARDS, the third issue of Joshua Williamson and Mike Henderson’s NAILBITER have all sold out instantly and are being fast-tracked to second printings immediately to meet customer demand. HACK/SLASH readers jumped at the opportunity to reunite with Cassie with the release of Moreci, Seeley, and Laiso's SON OF SAMHAIN #1. Their favorite slasher hunter has returned and the issues have been snapped up as quickly as they’ve arrived! When a mysterious cult of monsters arises, Cassie is forced to return to the life she thought she’d left behind. Coupled with a new partner and faced with enemies unlike any she has battled before, Cassie must confront the darkness in the world—and in her own life—in new ways. The agents of evil never rest; unfortunately for them, neither does Cassie Hack. 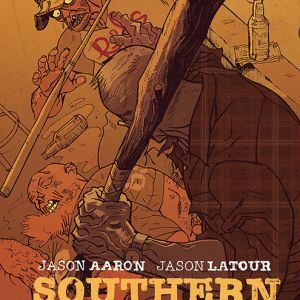 Aaron and Latour’s gritty southern crime series, SOUTHERN BASTARDS, rocketed to success with its first issue and has built up steam since with repeated praise of the creators’ portrayal of Southern culture. In this third issue Earl Tubb’s one-man war to clean up Craw County begins to rage out of control, as it claims its first casualty. In the unnerving serial killer suspense series NAILBITER, Williamson and Henderson have both captivated and horrified readers by the droves. As the morgue continues to fill with new dead bodies, in this third issue, the citizens of Buckaroo violently demand that Sheriff Crane and Officer Finch arrest the Nailbiter. But in a town full of killers... anyone could be a suspect. The first editions of all three issues, HACK/SLASH: SON OF SAMHAIN #1, SOUTHERN BASTARDS #3, and NAILBITER, #3 have completely sold out at the distributor level, but may still be available in comic stores. They are all also available digitally on the Image Comics website (imagecomics.com) and the official Image Comics iOS app, and on Comixology on the web (comixology.com), iOS, Android, and Google Play. 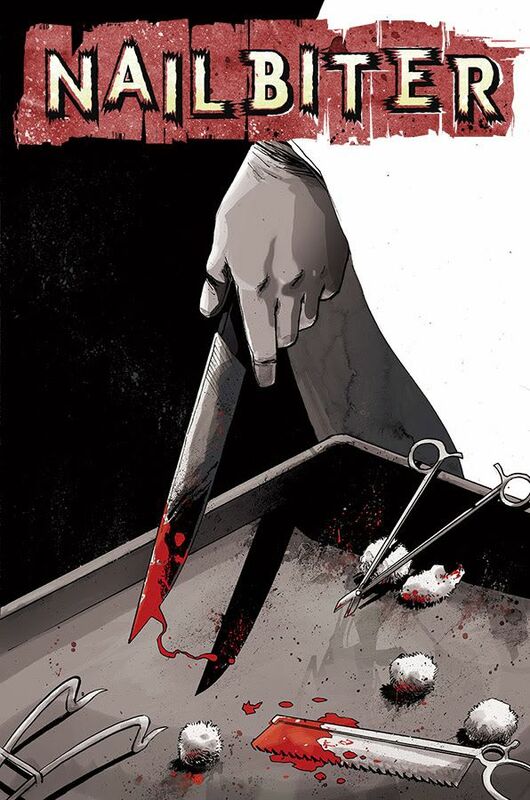 The second printing of HACK/SLASH: SON OF SAMHAIN #1 (Diamond Code MAY148255) will release on 7/30. HACK/SLASH: SON OF SAMHAIN #2 (Diamond Code JUN140552) hits stores on 8/6. The second printing of SOUTHERN BASTARDS #3 (Diamond Code MAY148253) will release on 7/30. 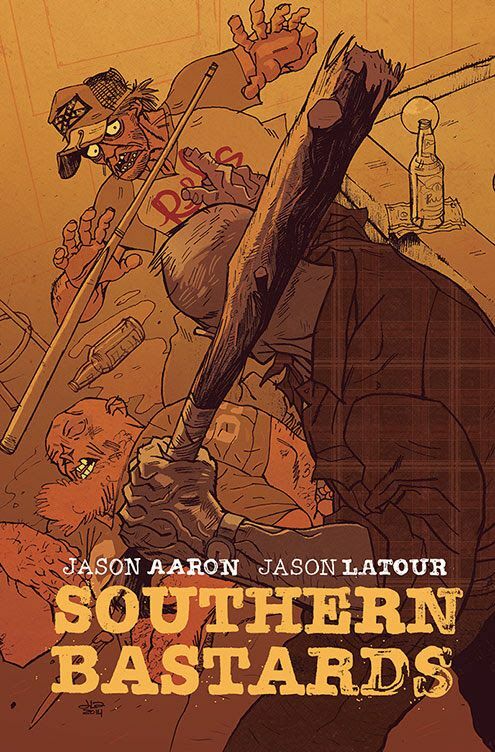 SOUTHERN BASTARDS #4 (Diamond Code MAY140731) hits stores on 8/13. The second printing of NAILBITER #3 (Diamond Code MAY148254) will release on 7/30. NAILBITER #4 (Diamond Code JUN140562) hits stores on 8/6.